As emphatically stated in previous blog posts, polished concrete floors are attractive, easy to clean and extremely durable. However, for those looking to take their concrete floors one step further, logos and other graphics can be reproduced on mechanically polished concrete floors and on concrete coatings. This is a great way to display company logos in offices and warehouses. These strategically placed logos stand out to customers and play a pivotal role in office branding. Business owners are undoubtedly aware of the importance of branding. It improves recognition, creates trust and supports all other advertising efforts. A strong, cohesive brand is directly correlated to a company’s success. Therefore, prominently displaying a logo on the floor of your office building, warehouse, restaurant, etc. is bound to make a lasting impression on customers. 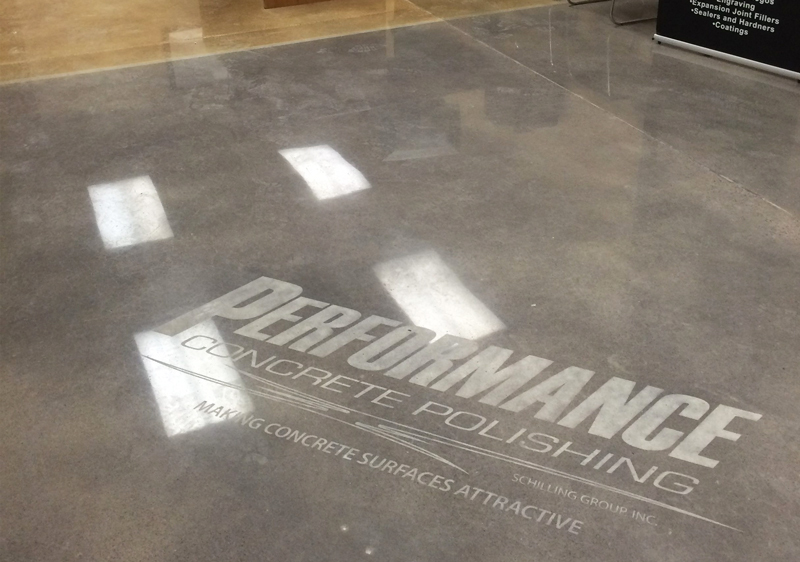 No matter how complex, logos can be sandblasted into mechanically polished concrete floors. This is by far the most popular method of displaying a company logo in concrete floors over the past couple of years. The end result is a polished, natural look. For a bolder look, these engraved logos can also be dyed. Logos can also be applied to concrete coatings. In this method, a template is designed and cut out. It is applied to the floor following the coating, which is then followed by a clear coat. As opposed to the often-natural look of the logos engraved in polished concrete floors, these logos can be as colorful as desired. Of course, these methods aren’t exclusively used for logos. Creative business owners may use these methods to denote certain rooms or point out directions. For homes and garages, team logos are extremely popular. If you can think it up, we can most likely do it! For more information on putting a logo or other graphic in your concrete floors, contact us today.